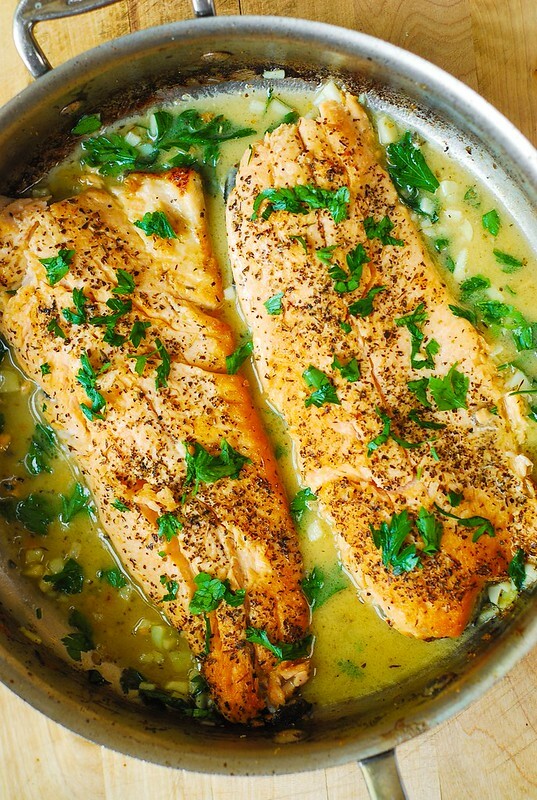 Trout with Garlic Lemon Butter Herb Sauce – simple and delicious way to cook fish, especially if you’re in a hurry! The whole recipe takes only 30 minutes. 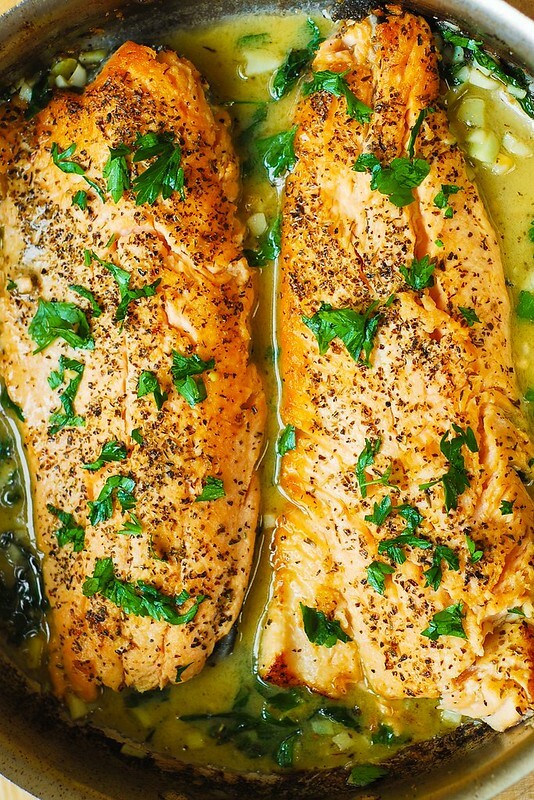 Italian herb seasoning, chopped fresh parsley and garlic give great flavor to the fish! 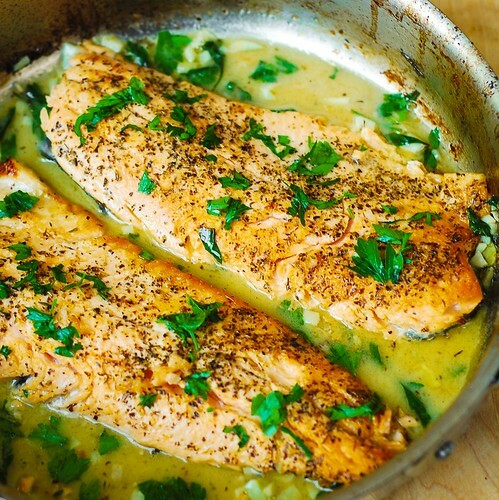 In a large skillet (large enough to fit 2 fish fillets), heat 2 tablespoons of olive oil on medium heat until heated but not smoking. 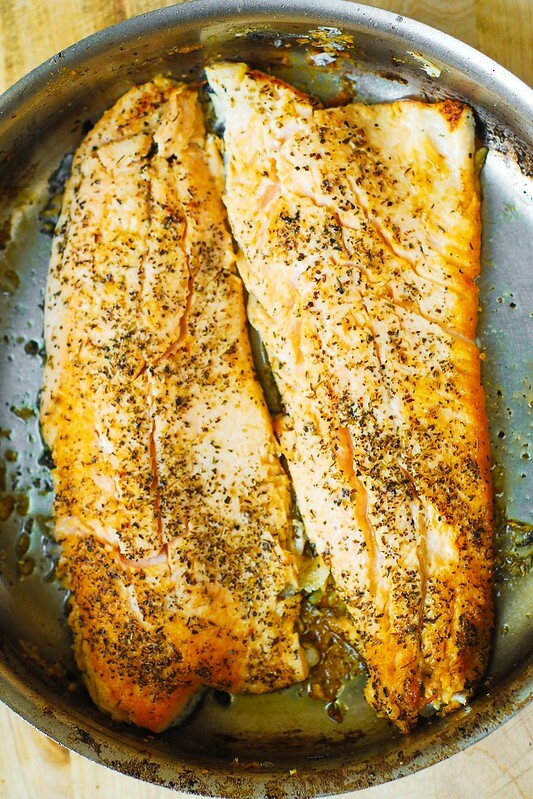 To the hot skillet with olive oil, add fish fillets skin side up – flesh side down. Cook the flesh side of the fish for about 3-5 minutes on medium heat, making sure the oil does not smoke, until lightly browned. Flip the fillets over to the other side, skin side down (add more oil, if needed). Cook for another 2-4 minutes on medium heat (to prevent oil from burning).